The U.S. Federal Communications Commission (FCC) released details this week of applicants seeking to build a variety of satellite constellations. The most dramatic application came from SpaceX who are looking to build 4,425 small satellites to be used in low earth orbit. From the Canadian perspective, there were two applications, that of Kepler Communications who are based out of Toronto, and Ottawa’s Telesat. 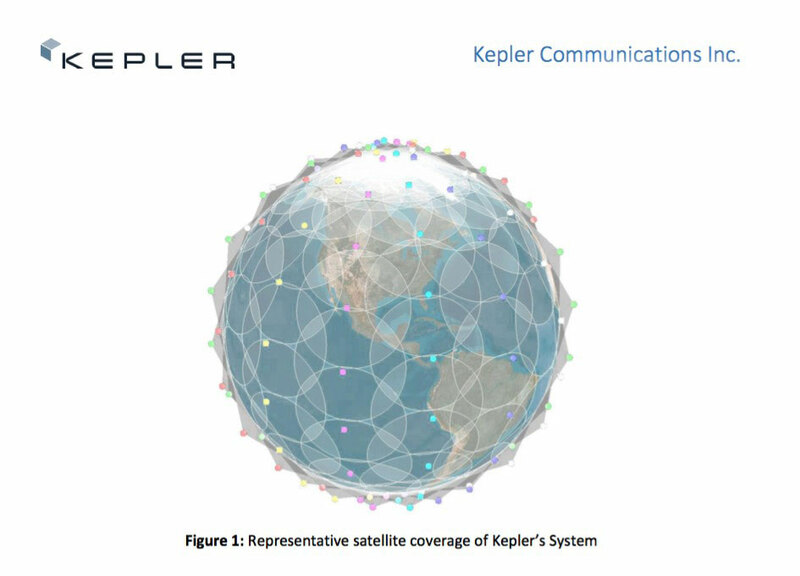 What separates Kepler Communications from most other new satellite constellation companies is the fact they are targeting the Machine-to-Machine (M2M) communications market, and in particular the Internet of Things (IoT). Kepler plans on deploying a total of 140 satellites, including spares, in a non-geostationary orbit (NGSO) low-earth polar orbit between 500-650 km using seven orbital planes with 20 spacecraft equally spaced in the orbital plane. Kepler plans to deploy its constellation in three phases, the first phase launching up to 5 satellites, up to 20 in the second phase and the remainder in third phase. Kepler will launch its first two satellites in late 2017 and have already secured a launch provider and expect to have the complete system in operation by 2022. IoT Data Aggregation & Backhaul. The Kepler System will provide localized and extremely economical terminals that can aggregate data from IoT devices. This data will then be backhauled to users through the Kepler space segment. Kepler’s evolutionary low cost infrastructure will be an enabler for many IoT applications in remote areas. This includes animal monitoring, crop monitoring, seismic data collection, weather data collection, asset tracking, and many more. Spectrum Sharing. The Kepler System’s novel Software Defined Radio (SDR), electronically steerable antenna array, and networking protocol, in combination with inter-satellite links will allow other NGSO operators to communicate with each other and the ground in real-time. In addition, this will enable NGSOs to dynamically request and release bandwidth as their system need dictates. The Kepler network will allow for frequency reuse in ways never seen before. In doing so, it will unlock the previously inhibited business opportunities for real-time earth exploration satellites and data-scientists alike. Through the introduction of such a novel system, the world will see a reduction in the number of ground stations that must be deployed, directly relieving the licensure / coordination burden from both the FCC and up and coming NGSO networks. No details have been released on future funding to build out the constellation. Telesat is planning a constellation with a minimum of 117 satellites, including spares, in a non-geostationary orbit (NGSO) low-earth orbit (LEO) in the Ka band. The constellation could serve the government as well as the military. 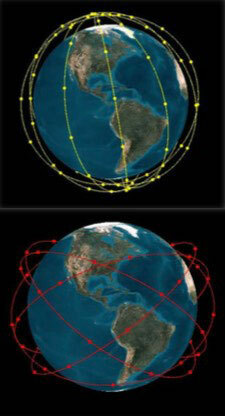 The satellites will be used in a combination of polar and inclined orbits. In the Polar LEO orbit will provide global coverage and consist of a minimum of 72 satellites in 6 planes with 12 satellites per plane. The planes are inclined 99.5 degrees with orbital altitude of 1000 km. In the Inlcined LEO orbit will provide “focused capacity on regions of highest demand” and consist of a minimum of 45 satellites in 5 planes with 9 satellites per plane. The planes are inclined 37.4 degrees with orbital altitude of 1248 km. In April Telesat contracted Space Systems Loral (SSL), an MDA company, and Surrey Satellite Technology Limited (SSTL) to build two prototypes scheduled to launch sometime in 2017. Telesat is targeting a start of commercial services for the constellation in 2021. Telesat has not released details on how it will finance the constellation as yet.